Kombucha concentrate is exactly what it sounds like - a concentrated version of a potent Kombucha tea using low pressure and low heat distillation developed nearly 100 years ago. Naturally alcohol free, it is a terrific oral supplement that can be taken whenever your homemade Kombucha is not available. Keep a bottle handy when at sporting events, work, social functions, school, or anywhere you can't bring your booch! Perfect for traveling here and abroad. At only 1oz, its safe to fly in carry-on bag! True story: When we went to Egypt, taking a dropper full or two per day saved us from "Pharaoh's Revenge!" Some use it to "super charge" their brew! 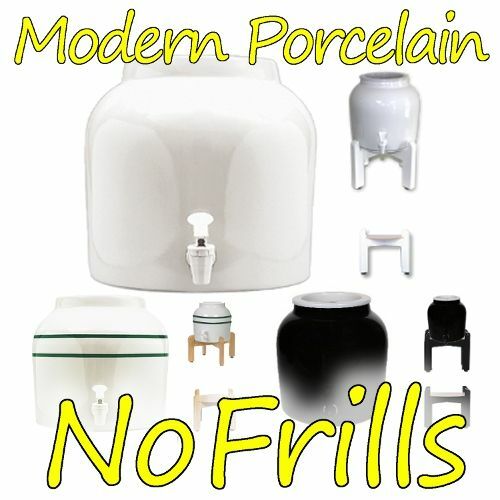 It quickly lowers pH to prevent mold and helps speed along the fermentation process. Read the reviews below to hear how others use it. 1oz bottle - safe to bring on carry-on while traveling & no refrigeration needed! Helped to kickstart my brew and it turned out delicious. I love this product! I use it every time I travel. It's so convenient and easy to use that I recommend it to everyone I know! I love this stuff! I was waiting for my ferment to mature and really craving Kombucha when I remembered I had this in the cupboard. Hit the spot, Thank you! I do also use it in my starter when I think of it to give it a boost. This came with my CB package. This is great. I can pack it in my carry on for the flight because it meets the requirements. I use it on vacation instead of my homemade kombucha. Works great! Love it! This concentrate arrived with my brewing vessel package. I was happy to see it arrive, because it showed sold out online when I made the purchase. I think this is an awesome idea! I travel a lot and some times it's not easy to travel with big kombucha bottles all the time and not easy to find store bought in foreign countries, so I bring the small concentrate bottle in with my toiletries. I purchased 4 bottles of 50x Kombucha Concentrate and am so glad I did. Not only is it great to add to starter KT batches, it's a good pick me up when I don't have any kombucha on hand. I add 3-4 droppers to about a glass of water and drink it down. Terrific flavor! I've also used this in some of my homemade salad dressings. Delicious! Used the drops to start our first brew, then my husband took the bottle with him on a business trip. He took the drops daily in place of his probiotic that would have required refrigeration, and said he felt even better taking the drops! Like the convenience of not needing to refrigerate the drops and that they comply with carry-on regulations. I was waiting for the 50X to come back in stock. Was planning a trip to the Bahamas within 10 days. Called the Kombucha Momma and she had a stash and got me two bottles with the quickness. Great product. Airplane friendly. I received this as part of my Continuous Brew system. I just set it aside because I wasn't sure I really needed it. Then my daughter (who travels a lot) came home and was having some digestive/female issues. I encouraged her to drink some Kombucha that I had made. She wasn't thrilled about the currently flavor options I had available (still deciding which flavor combo I like best). I remembered the concentrate and so gave it to her to use for the next few days while she was traveling. She returned from her trip claiming all of her 'issues' were greatly relieved. I guess I will need to order more as she hasn't given my my bottle back. The kombucha concentrate is absolutely fantastic for keeping my kombucha regime intact while travelling, a very convenient way to maintain the benefits of kombucha. I never travel without it and will continue to purchase this exceptional quality product. In addition the customer server is excellent, thank so much Kombucha Kamp! I recently went away for 2 weeks and was limited to what I could take . The 50x kombucha concentrate solved the problem for me. I love and I'll take it whenever I go away. Love this stuff! Great to take on vacation! I received this with my cb set and used it while waiting for my first brew. It really helped fill the void while I waited! I used the 50X concentrate to jump start my Kombucha when refreshing - and it really works! I ordered the Kombucha concentrate. I think the Kombucha concentrate will be perfect for travel....5/5 for everything we've received from you. Thanks so much and keep up the stellar work! I ordered the Kombucha concentrate for traveling after a recommendation from my brother. I love it! I definitely give it 5 stars! Since I travel a lot this is an easy way to take it on the go! I feel so much better after taking it! It's amazing! Love this 50X Kombucha Concentrate. 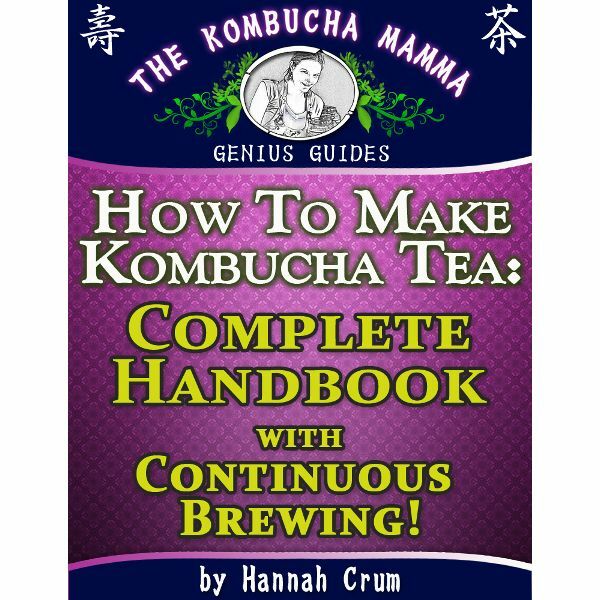 Order this a month or so ago and added a dropperful to my brew and it really gave it a kick start - healthy scoby and lots of bubbles in my Kombucha. Great for traveling too when you can't take your bucha with you. Definitely recommend!! I bought 2 bottles out of curiosity since the reviews were great! 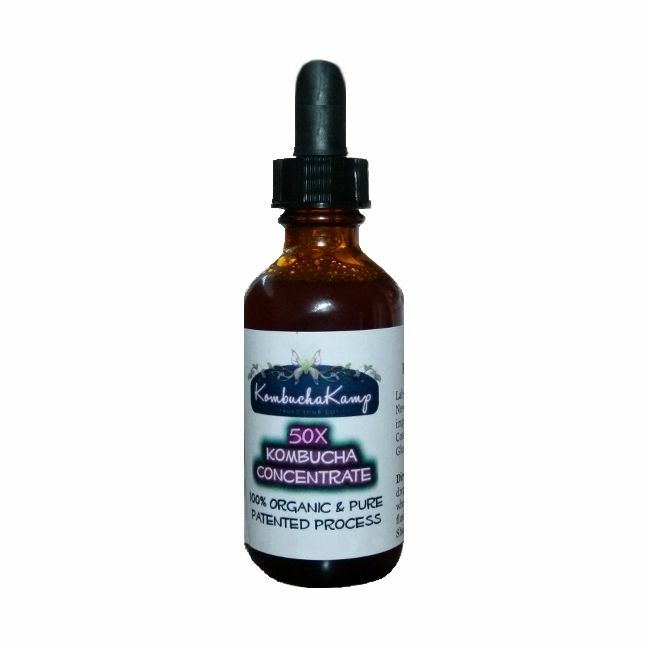 I absolutely enjoy the taste of the 50X Kombucha Concentrate and use it when I am on the road and without my home brew! I just made a few new batches of Kombucha and put 4 drops in each container. I can't wait to try the finally product! Thanks for making Kombucha making more safe and pleasurable! 50X---100% Pure Kombucha Tea Concentrate is the highest source of KT, my favorite nutritious beverage, I've ever happened upon. Injesting KT is facilitating my body by bringing it back into balance naturally. The 50X Acetic and 40X Gluconic Acid of regular brewed KT is supporting both my digestive and immune systems. Devouring 50X my SCOBYs bloomed, my brews bubbled, and I celebrated! This little bottle knocked my socks off. Had to come back and order more! I add it to my Kombucha and also, love to put a dropper or two under my tongue. I love the rush of flavor!!! I ordered this for the first time about a month ago. It gives my Kombucha brew a boost. I'm noticing more bubbles and a faster growing baby SCOBY. I'm looking forward to trying this batch next week! I love this product. I add two dropper fulls every two weeks to my continuous brew system. I also give my Yorkie 2-3 drops every morning in his wet/dry dog food mix. He has severe allergies and it's helping him. Start very slow as this is very powerful stuff. I ordered this concentrate because of all the positive reviews I read about it. It’s one of my favorite things now! So handy for traveling, when you’ve had a busy day and no time to drink enough Kombucha, and a really great booster for your brew! Simply put some under your tongue, or a few droppers in your brew to jumpstart it. It’s now a must-have in my Kombucha brewing. And their customer service is the best! I had ordered 2 bottles but received only one. When I notified them, they not only sent the missing bottle right away, but included another bottle as a gift for the error! Order this now, you’ll be glad you did! This came in my kk brewing kit and I LOVE it. It made me feel comfortable starting my first batch because I knew it would lower the pH a little faster, so I felt at ease. If you're a big vinegar fan and love some tart booch, you might love just having a squirt of this in your mouth, like I do. Its tasty! I ordered this because I had a scoby gifted to me which was kept in the refrigerator. I thought this concentrate might make it more productive. It does seem to have helped it along. Of course I ordered two of kk scoby for my continous brew. This stuff is pretty amazing! I bought it to test it out and I am ready to buy some more! Tastes delicious. Haven't used it to elevate my current booch, but I plan to! Thanks Kombucha Kamp! This is a great booster shot for your booch batch! I'm not a fan of the flavor, but it's also nice to have as a backup bottle while you're traveling. I have a Mini Dachs'hound,he has Food Allergy.He doe'not like the normal kombucha,so I give him kombucha concentrate from the K Kamp.this product works fantastic for my dog,he is so much better. In my initial order, I received the 50x concentrate and decided I would use some in some juice until my first batch of KT was ready. I didn't read the directions though and used a little too much and experienced a healing crisis. This just helped me realize how potent KT can be and I look forward to continuing to brew and drink KT in an effort to assist in my healing process. This the second time I've purchased KK's Kombucha Concentrate to take travelling and I'll definitely be back for more. This concentrate is of the highest quality and tastes great, making it extremely convenient to maintain my kombucha health regime at all times. I've also added a few drops to my CB. Thank you Kombucha Kamp for such valuable product and awesome customer service, much appreciated! I just wanted to say a big thank you again. The replacement order you sent arrived safely. :-), very promptly and just in time for our travels. Many grateful thanks for fabulous and very generous customer service. I've used this to jump start my Kombucha when first brewing and each batch has been so productive and healthy. Ordered this product because I was going on a trip that was likely to be stressful, and I didn't want to also be without my kombucha for two stressful weeks. The bottle is small enough to fly with it in your toiletries bag, and having this with me helped get me through. Definitely beneficial for travelling, or if you are just "on the go" a lot and want to keep it in your bag or backpack for a quick healthy boost. Thanks, Kombucha Kamp. This product really does a great job of jump starting my Kombucha! So awesome to have this for travel! Like other reviewers I also use it to speed up my CB. This is the 3rd or 4th time I have ordered this... I use about 3-4 droppers with each top off batch of tea that I fill my two continuous brewers with & I feel that it both helps accelerate the brew cycle & that it also helps maintain the overall health of my SCOBY's... I will continue to use this with each brew cycle. I needed this Kombucha concentrate in a hurry as was going out of the country for a week and NEEDED my daily booch! Hanna shipped it the day I called (Friday) and I received it on Monday!!! WOE!!! Awesome customer service Hanna. Thanks so much! Love all your products & your web site. I recently went on vacation and took my Kombucha Concentrate with me. I didn't want to give up Kombucha for a week and couldn't take my bottles with me. I put a dropper full on my tongue and drank a lot of water throughout the day. It was very convenient. The kombucha concentrate was absolutely fantastic for keeping my kombucha regime intact while travelling. All that is needed is a couple of droppers under the tongue, a very convenient way to maintain the benefits of kombucha. Will never leave home without it! With the little bit leftover I'm going to give my first CB a boast. I love the option of taking the concentrated kombucha. It will come in very handy when traveling to South America this summer! Love the taste! This is a repeat purchase for me, and I got the larger bottles this time! I use this "liquid of the Gods" all the time. I use it in every batch of booch and carry it in my purse everywhere I go so I can pull it out and pop a few drops under my tongue with each meal or snack. Won't be without this valuable, healthful product! WTG Hannah! This has been great for boosting my brew, as I wanted it done NOW! :) It does have a unique taste but a good glass of water after and your good to go. Pretty good kombucha concentrate. Used it on my last travel and as a booster for my continuous brew. I love to use 3 droppers full each time I add my top off tea to my Continuous Brewer. It seems to jump start the brewer & help turn the tea to Kombucha sooner. I have also used a dropper full underneath my tongue when traveling & not able to regularly drink my booch! I add this to my CB and use it for travel. It is handy. I experience the benefits of a full dose of kombucha tea when I place the full droppers underneath my tongue. It is quick and convenient if I am away from my brew. I plan to take plenty of concentrate with me on my trip to India next month. My wife uses this in salad dressing instead of vinegar and we get extra kombucha that way. Also I have given this to my mother in her juice and she doesn't even know it's there so that's another way to use it. I did try a little under my tongue and it was intense but like the site says if you want to take it travelling it would be convenient. Received this as part of a CB kit from Kombucha Kamp. I added it to fresh brews with newly added sweet tea, scoby hotel and second fermentation bottling. It's a good way to lower the starting pH of a brew making it more acidic which makes it harder for harmful bacteria to thrive.